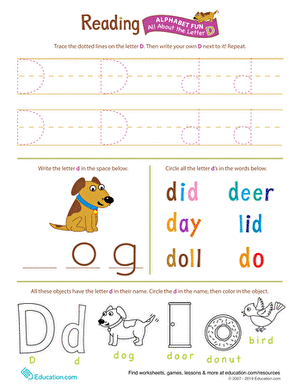 Is your kid eager to jump into reading? 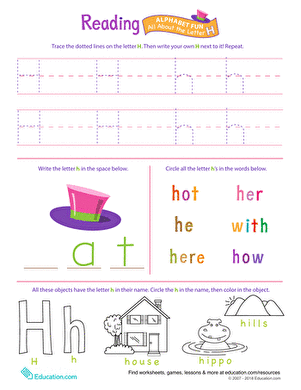 With the help of these printables, her letter recognition skills will grow by leaps and bounds! 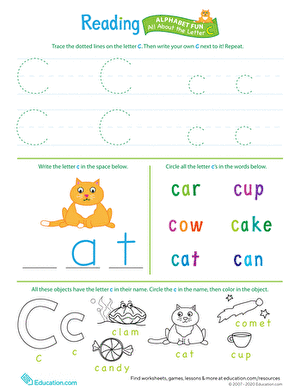 Download individually or all at once if you're a PLUS member. 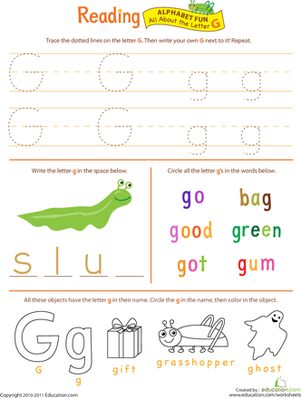 Grab your preschooler's attention with the letter G! 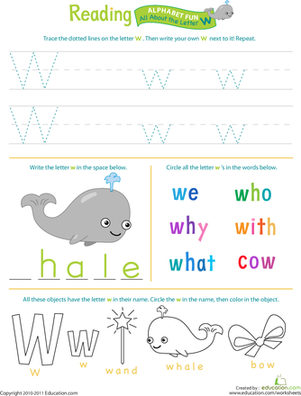 This charming worksheet gets her familiar with the letter that starts words like go, green, and gift. 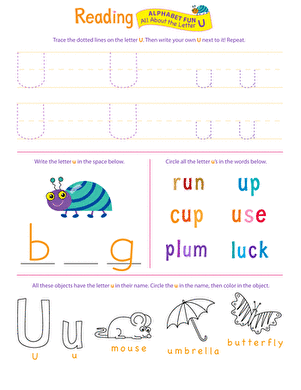 Prepare your preschooler for reading readiness by getting her familiar with the letter H. This worksheet will do the trick! 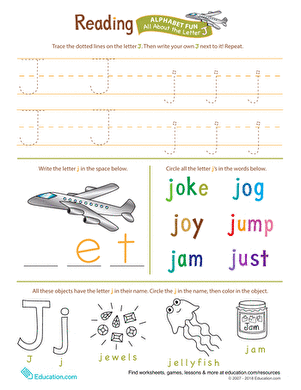 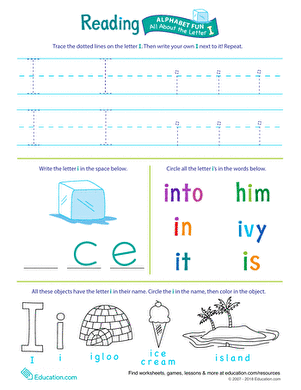 Bring your preschooler one step closer to reading with this fun worksheet that's jam-packed with the letter J. 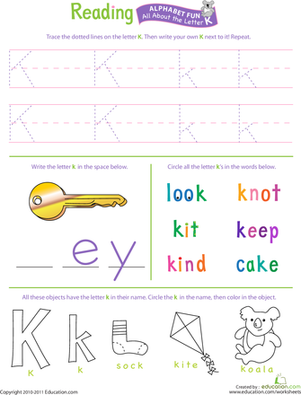 Help your preschooler learn about the letter K. Packed with handwriting, coloring, and letter activities, this worksheet is sure to keep her entertained. 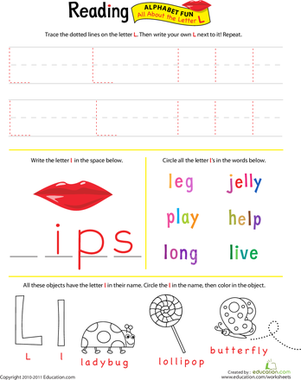 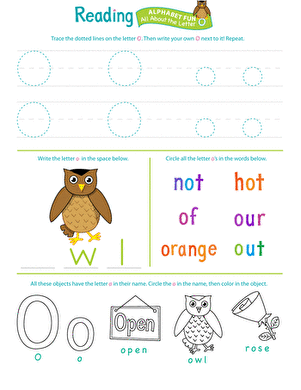 Introduce your preschooler to the letter P with this fun worksheet that's packed with reading, writing, and coloring activities. 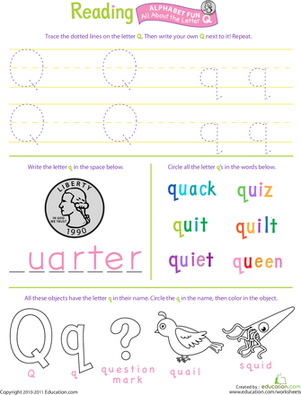 Q is for quick, quail, and quarter. 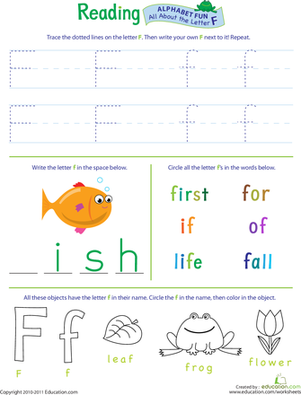 Full of handwriting, letter finding, and coloring activities, this worksheet makes learning the alphabet fun. 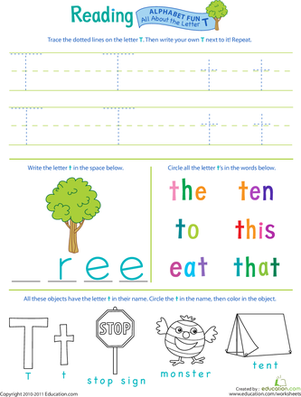 Kids don't have to wait until year one to start learning the alphabet. 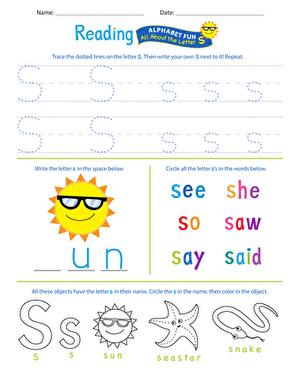 Give your preschooler a head start on school by helping her learn all about R.
She, saw, sun ... No, it's not a tongue twister, it's a reception worksheet all about the letter "S."
Let your preschooler topple into T's with this adorable, early reading worksheet. 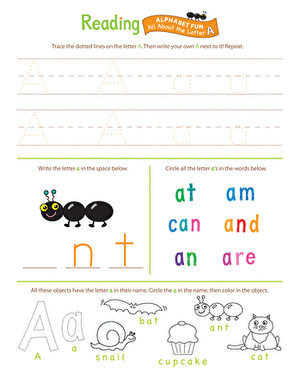 He'll practise writing and identifying things that contain the letter T.
Here's a fun way to give your preschooler some early reading assistance with the letter U. 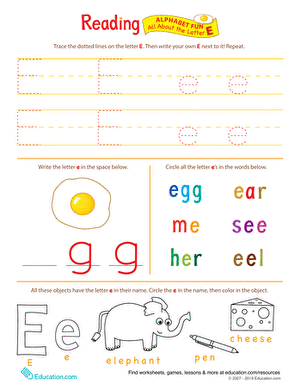 He'll practise tracing and identifying all things "U"! 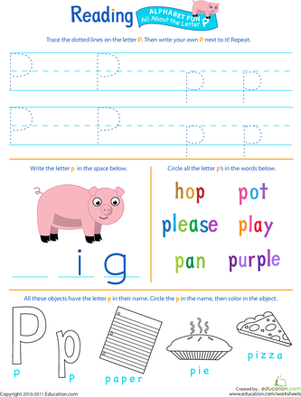 Does your preschooler have a voracious appetite for reading? 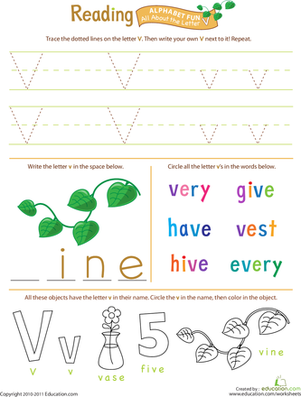 Feed her brain with this early reading worksheet that explores the letter V.
When it comes to the letter W, this wonderful worksheet's got your preschooler covered. 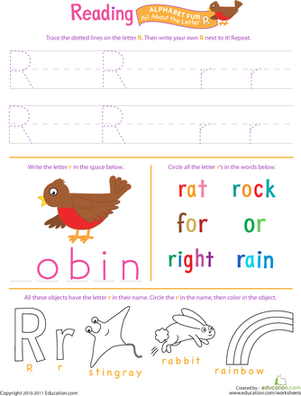 He'll practise writing and identifying the jagged-looking letter. 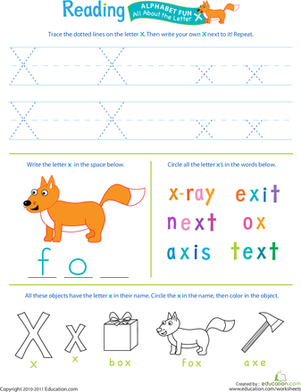 Give your preschooler practise with the fun, criss-cross letter X with this cute worksheet that gets her writing and identifying all things "X." 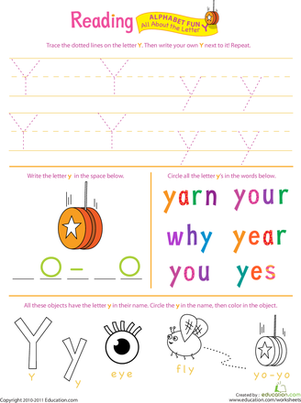 Introduce your preschooler to the letter Y, with this fun worksheet that will have him writing and identifying all things "Y." 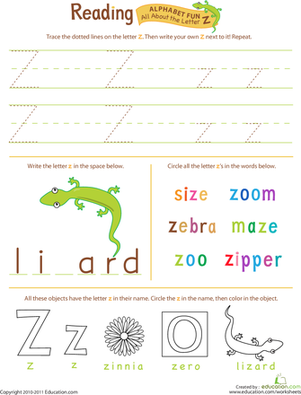 Don't let your preschooler snooze on his letter practise--especially the letter Z! 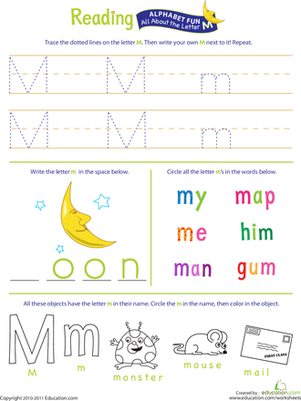 This fun worksheet gives him practise identifying and writing the letter Z.